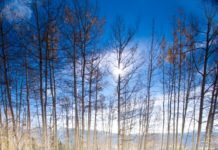 Home Uncategorized What is Competitive Trail Riding? When I tell people I do competitive trail riding, the most common response is a confused expression followed by the question “Is that like endurance?” To say competitive trail riding is like endurance would be the equivalent of saying western pleasure is like reining. Although western pleasure and reining are both western disciplines, they are very different sports. The same is true of competitive trail riding (CTR) and endurance; both are trail disciplines but that’s where the similarity ends. CTR is the least competitive discipline I have been exposed to, which is amusing since "competitive" is in the name. In my experience, people in this sport are some of the nicest and most helpful equestrians you will ever meet. The horse is the priority and placing is a bonus. Mission Statement: The North American Trail Ride Conference (NATRC) promotes horsemanship and horse care as they apply to the sport of distance riding by offering a variety of challenging and educational experiences designed to strengthen horse and rider partnerships. 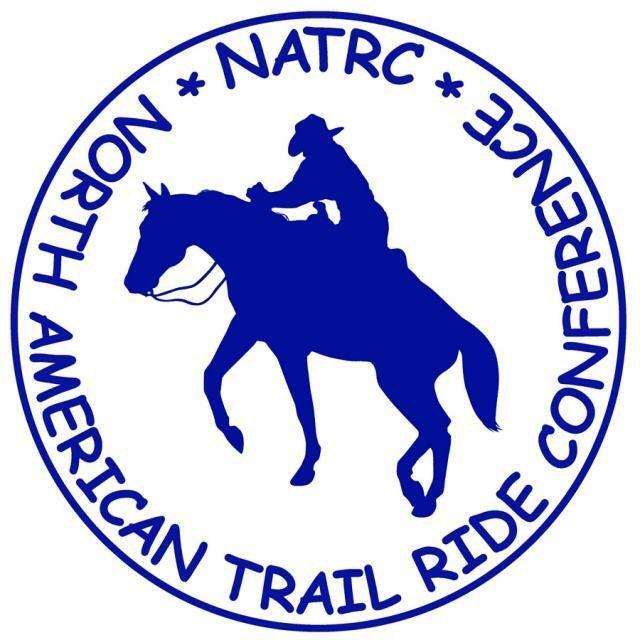 For the past eight years I have been involved with the North American Trail Ride Conference (NATRC). 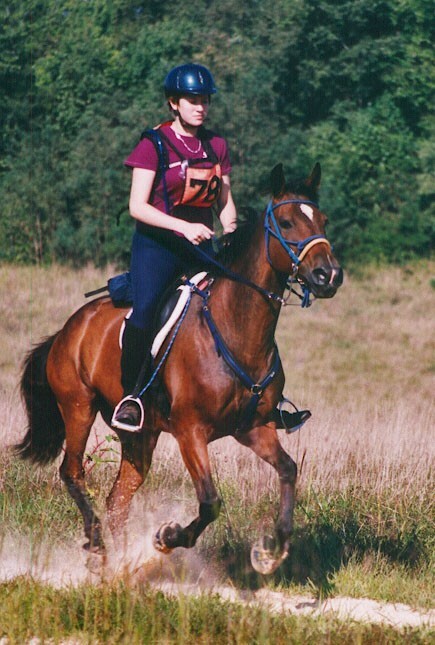 NATRC is the largest competitive trail riding organization and is comparable to endurance’s AERC. NATRC has six geographic regions welcoming all riders and all breeds. Membership with the organization is not required to compete but members benefit from reduced ride entry fees. There are three divisions: Novice, Competitive Pleasure (CP), and Open with one day (B rides) and two day (A rides) options. Novice and CP divisions average 15-24 miles per day (with the total mileage not exceeding 40 miles over two days) at an average speed of 3.5-4.5 miles per hour. The Open division averages 25-35 miles per day (with the total mileage not exceeding 60 miles over two days) at an average speed of 4-6 miles per hour. There is both a veterinary judge and a horsemanship judge with separate scorecards and placing within each division. Competing barefoot and booted in this sport was not easy. Like many other disciplines, there is a preference for horses to be shod. 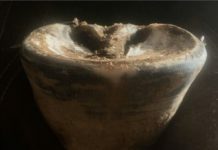 Also, prior to this year’s rule change, the only boot that could be used in competition was the original Easyboot. After I Easy Foamed my hands together and lost several Easyboots to mud, I decided that I would only compete in rides where the footing did not require hoof protection. I was disappointed to miss out on some really great rides but it was what I had to do; I refused to risk making my horse foot sore. This year when the rule change passed I was ecstatic, I would finally be able to compete in my beloved Easyboot Gloves. Cal and me competing in Easyboots at Big South Fork circa 2003. Although I have not had a chance to compete this year, I did volunteer as a judge’s secretary at the Region 5 Benefit Ride. At the ride there were three riders competing in Easyboot Gloves. Of those, two horses won first place: Paula Riley’s Swiss Mocha (Open A Lightweight) and Robyn Placek’s FLF Meeko (Novice B Lightweight). Paula also won first place in horsemanship in her class and the Sweepstakes award (which is for the highest scoring horse in her division, Open A). This is an exciting time for boots in NATRC. 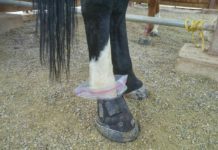 EasyCare expanded the Hoof Boot Contest and will award $5,000 in cash and product to riders who complete the most competitive trail miles during the 2011 ride season. For additional information on NATRC visit http://natrc.org/.